Vivo’s Android 8.0 Oreo Update Will be Available to 7 Eight Devices - Playfuldroid! Several smartphone manufacturers such as started rolling out the Android 8.0 Oreo for its smartphones. Today, Vivo has also confirmed the list of smartphones that would be receiving the update. FunTouch UI flavored Android 8.0 Oreo would be made available for following smartphones: Vivo X20, Vivo X20 Plus, Vivo X9, Vivo X9S, Vivo X9 Plus, Vivo X9s Plus and Vivo Xplay 6. Vivo has released a couple of mid-range smartphones in the recent past. 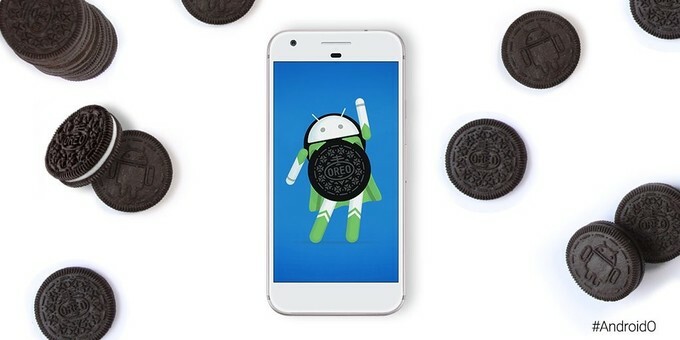 However, none of them have been confirmed to receive the Android 8.0 Oreo upgrade. Details of the beta testers is expected to be revealed in the near future through its official forum site. There is no information available if the company will be also releasing a newer edition of FunTouch UI. There is a possibility that the other smartphones may also be treated with Oreo update but the company may release it first for the aforementioned devices. It has confirmed that the Oreo update would be first made available as beta version to the aforementioned devices. Vivo has been never fast at releasing the latest Android version. However, now that the brand is gaining international recognition, the company seems to be working at launching new Android version to its smartphones at a faster pace.